Under 21 but older than 16? 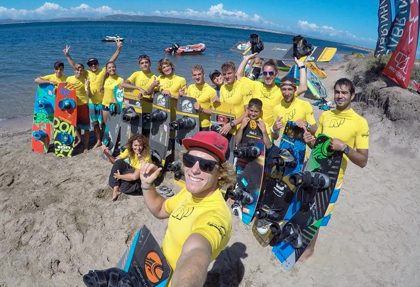 Are you a student who is dying to get into Kiteboarding? Well GoKite is now giving 5 lucky students twice a month the opportunity to get a free 2hour coaching session from one of Australia’s top Freestyle Kiteboarders. Learn the basics and start your journey into becoming a Kiteboarder! You’ll need to call us on the date of the event on a first come first serve basis where 4 places are up for grabs and you will need written permission from your parent or guardian to participate. Another way to book is to enter into our prize draw on Facebook. One lucky student will get their place automatically booked and released online the week before the session. Everything else is included. Contact us at info@gokite.com.au or 0428 465 483 for more information and to book your place. GoKite Melbourne offers the highest standard of kiteboarding tuition to meet your needs and we operate at St Kilda, Rosebud, and Inverloch. Our mission is to get you kitesurfing fast in the safest environment while having maximum fun. Book Today! Are you open for Winter? YES! Here are the changes you need to know.